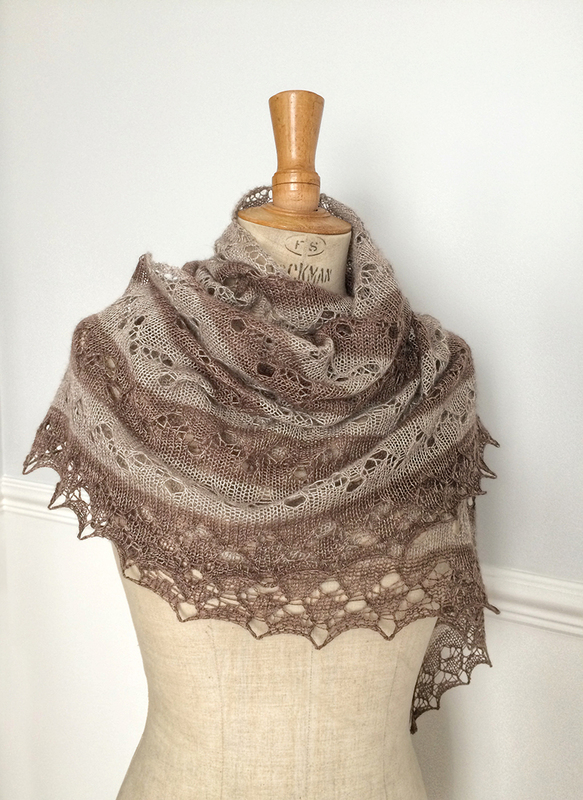 Angelus Novus shawl re-release in new, lighter BEYUL lace! - Kettle Yarn Co.
Angelus Novus shawl re-release in new, lighter BEYUL lace! Some of you may have seen glimpses of my Angelus Novus Shawl on Instagram and Ravelry or even at EYF, as I’ve been knitting it over the last couple weeks. This gorgeous pattern, originally in Aran weight, is part of Renée Callahan’s stunning new Klee Collection and is being re-released today for spring with a frothy, striped lace option in my new lighter weight of Beyul – yak/silk/merino! Isn’t that FAB of her? 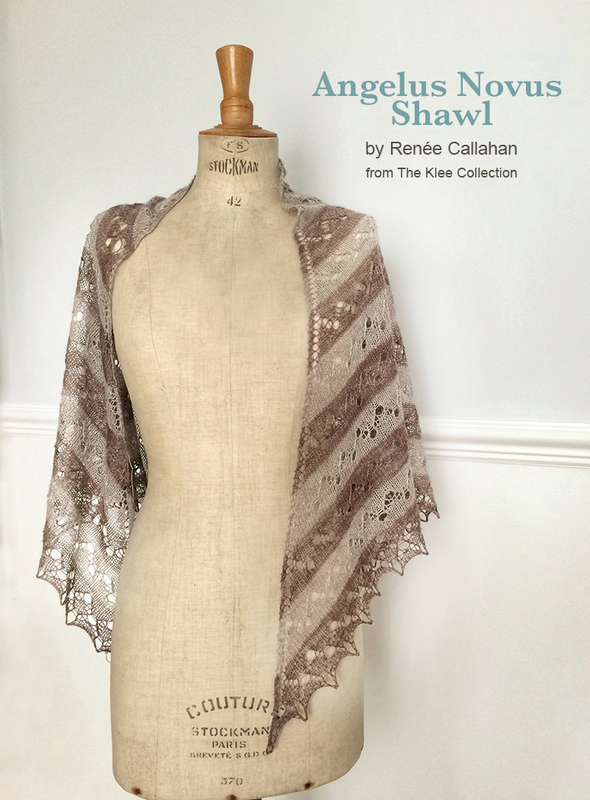 This stunning shawl is just my thing – a quick, relaxing knit with spectacular results! I’ve used it to great effect in showcasing the new lace. Sold in 100g skeins with a generous 800m, this huge shawl used less than half a skein of each colour, so you’ll have enough for two shawls. I’ve been wanting to add a lace to the shop for some time now and wanted it to be super-special. Luxuriously soft and scrumptious, with the most delicate halo and drape, Beyul makes the most amazing in lace. It creates the lightest, most exquisite fabric, with it’s two-ply construction holding the yarn-overs open beautifully. This shawl makes for a quick, satisfying project on 4mm needles and will be the perfect warm, airy layer to scrunch into my bag for chilly days this spring and summer. I’ve also added some London-themed Baa Bags to the shop. I’ve made these using South London’s Dashwood Studio’s Street Life fabric, which depicts London post and phone boxes! There are only 3 of these left after EYF. You can get these all on the shop now!